Israelis spying on Americans is in the news again: leaders of the Jewish state just petitioned for Jonathan Pollard's release and the Associated Press reported with alarm that U.S. national security officials at times consider Israel to be "a genuine counterintelligence threat." Its tone of breathless outrage suggests: How dare they! Who do they think they are? 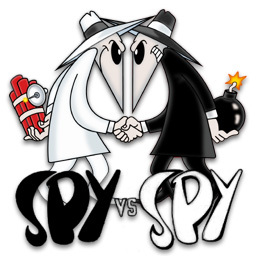 Antonio Prohias drew the wordless "Spy vs. Spy" cartoon, a cold-war phenomenon, from 1961 to 1987. 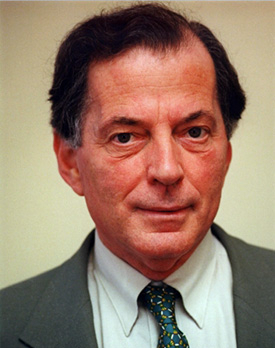 Itamar Rabinovich, Israel's ambassador to Washington, who revealed U.S. taps. Yosef Amit, a former major in Israeli military intelligence, spied for the CIA for several years, focusing on troop movements and policies toward Lebanon and the Palestinians, until his 1986 arrest. Itamar Rabinovich, Israel's ambassador to Washington in 1993-96, revealed that during his tenure, the U.S. government deciphered an Israeli code: "The Americans were certainly tapping the [embassy's] regular phone lines" and even its secure line. As a result, he says, "Every 'juicy' telegram was in danger of being leaked. We sent very few of them. Sometimes I came to Israel to deliver reports orally." A mysterious submarine in Israeli territorial waters 11 miles from Haifa in November 2004, which fled upon discovery, turned out to be American, raising memories of the USS Liberty's covert mission in June 1967. 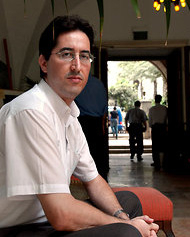 Yossi Melman, an Israeli journalist specializing in intelligence, found that U.S. military attachés in Tel Aviv gathered covert information; Israeli officials, he discloses, believe the U.S. intelligence services have been eavesdropping on conversations between key staff in Israel and at foreign missions. U.S. spying, he concludes, has exposed "Israel's deepest policy secrets." An official history of Israel's intelligence services published in 2008 found (as reported by Reuters) that U.S. spy agencies use the embassy in Tel Aviv to engage in electronic eavesdropping and train embassy staff for "methodical intelligence gathering." Barak Ben-Zur, a retired Shin Bet intelligence officer, wrote in that same volume that "The United States has been after Israel's non-conventional capabilities and what goes on at the decision-making echelons." A 5,000-word secret memorandum dated Oct. 31, 2008 (released by WikiLeaks), sent under Secretary of State Condoleezza Rice's name, catalogues topics that State wants information on. The very long list includes intelligence on "Israel's decision-making process for launching military operations and determining retaliation for terrorist attacks"; "evidence of Government of Israel" involvement in "settlement and outpost growth" on the West Bank; details on Israel Defense Forces operations against Hamas, "including targeted assassinations and tactics/techniques used by ground and air units"; and everything about information technologies used by "government and military authorities, intelligence and security services." The National Security Agency employs large numbers of Hebrew speakers at its Fort Meade, Md. headquarters, where they listen to intercepts of Israeli communications. The 2009 legal problems of one of their number, Shamai K. Leibowitz, concerning his leaking information, revealed that he translated Hebrew-language conversations at the Israeli embassy in Washington into English, neatly confirming Rabinovich's revelation. 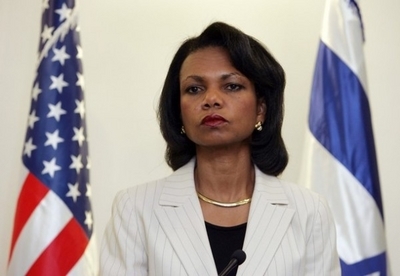 Condoleezza Rice oversaw extensive spying on Israel during her tenure as secretary of state (2005-09). Observers have drawn the obvious conclusion: Yitzhak Rabin, twice prime minister commented, in Caroline Glick's paraphrase, that "every few years Israel discovers another US agent committing espionage against the state." An Israeli counterintelligence agent notes that Americans "are trying to spy on us all the time—every way they can." Matthew M. Aid, the American author of Intel Wars (2012), finds that Washington "started spying on Israel even before the state of Israel was formally founded in 1948, and Israel has always spied on us." Shamai K. Leibowitz, who leaked U.S. spy information on Israel. As Aid indicates, the spying is reciprocal. More: it's been routine, known and implicitly accepted by both sides. It's also not terribly worrisome, for these allies share much in common, from moral values to ideological enemies, and they often work in tandem. Therefore the mutual spying has few larger consequences. Why then spy at all? Why not invite Israel into the Anglophone "five eyes" grouping that promises not to spy on each other? Because Israel is at war. As Ben-Zur of Shin Bet puts it, "At the end of the day, the United States does not want to be surprised. Even by us." Nor, for that matter, do the Israelis want to be surprised. Even by Americans. So, let's be adults about this and calm down. States spy, even on allies. That's okay. Aug. 7, 2012 addendum: This column builds on information provided in greater length in a blog begun in 2005, "Next Time Someone Gets Indignant about Israeli Spying on the United States …" Other than immediate responses to this column below, that's the place to check for further updates on the topic of American spying on Israel. Aug. 7, 2012 updates: (1) Jay Nordlinger of National Review responded to this column with a memory of Richard Helms, the director of Central Intelligence from 1966 to 1973, being asked on the David Brinkley show about the Jonathan Pollard affair. Sam Donaldson said to him, "Well, surely, Mr. Helms, the United States isn't spying on its allies, is it?" Helms matter-of-factly replied, "I certainly hope so." said he signed a contract with a CIA agent in Tel Aviv in 1985 and passed on data about Israeli intelligence operatives in the United States and elsewhere, including Pollard, before Pollard's dramatic arrest in Washington for espionage one month later. In contrast to Pollard, who is spending decades in prison, the Israeli authorities appear to be allowing Kielczynski to live in freedom. (4) In "The AP Spy Story Decoded," CAMERA's Tamar Sternthal looks closely at the statistics in the Associated Press article that prompted my column. Related Topics: Israel & Zionism, US policy | Daniel Pipes receive the latest by email: subscribe to the free mef mailing list This text may be reposted or forwarded so long as it is presented as an integral whole with complete and accurate information provided about its author, date, place of publication, and original URL.